Megan is an experienced strength and conditioning coach, having been in the field since 2006 upon receiving her B.S. in Exercise Science from Ithaca College, her CSCS through the National Strength and Conditioning Association, and an M.S. in Exercise Physiology from Northeastern University in Boston. Megan combines her science and physiology background in every program she designs. Her meticulous programming and application of the science behind sport as it relates to each athlete’s biomechanical and physiological makeup has aided her athletes in receiving collegiate scholarships and countless accolades. Megan’s extensive research and experience in the field is evident. She worked with the United States Air Force and Army in Colorado Springs, CO and Natick, MA as a research physiologist. The results of her research at both the United States Air Force Academy/ Pike’s Peak Labs in Colorado Springs, CO and the Natick Labs in Massachusetts have been published in the American College of Sports Medicine and other scientific journals. During her time at The United States Air Force Academy she worked with a number of cadets during their physical conditioning testing and training. Additionally, Megan served as the Metabolic Specialist at Aviator Sports in Brooklyn, NY where she worked with NBA draft picks. Before starting PSP, Megan was a co-founder of Inception in Madison, NJ. Prior Megan worked as a Strength and Conditioning Specialist at the Annex in Chatham, NJ. Megan is from Cranford, NJ and draws much inspiration from her experiences as a life long athlete. Megan was a member and captain of the varsity field hockey and softball teams at Ithaca College. She attended high school at Mount Saint Mary Academy in Watchung, NJ. There she was a three-sport varsity athlete as well as captain of the field hockey, basketball and softball teams her senior and junior years. 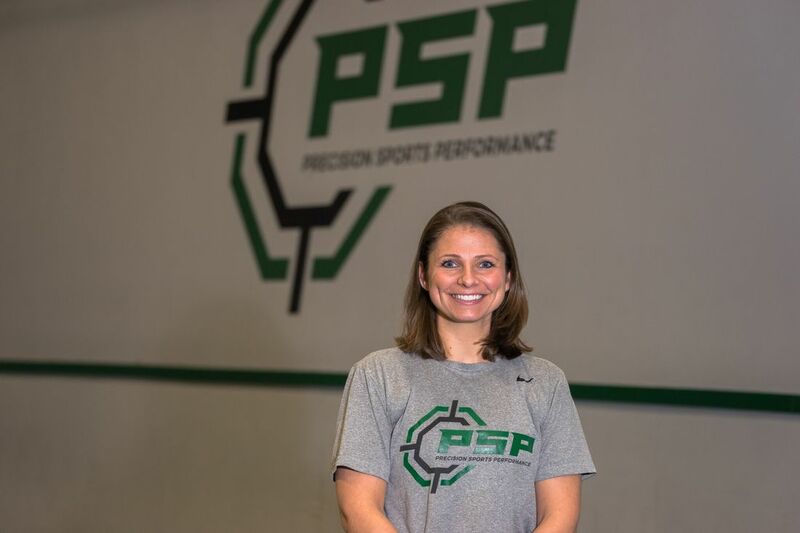 Megan holds her CSCS through the National Strength and Conditioning Association and is also a certified field hockey referee for the state of NJ.